Did you know that you have a better chance of completing your degree if you remain continuously enrolled? Taking classes each session is a great way to focus, remain energized, and stay on track to completion. To further support you on your road to degree attainment, we are offering you another incentive -- our new Tuition Discount Program. 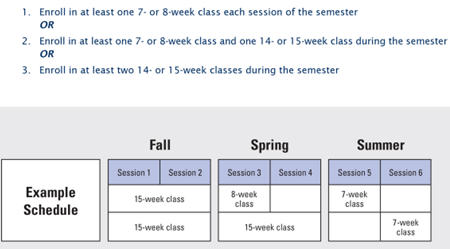 Beginning this fall, if you complete and receive a grade in at least one class during each of Sessions 1-6, you may be eligible for a 10 percent reduction in tuition for your summer 2014 classes. This program is available to all undergraduate students, whether you’re taking eight-week classes, 15-week classes, or a combination of both. A 15-week class will count toward one session during the term. For example, if you take a 15-week class during Sessions 1 and 2, and take an eight-week class during Session 2, the 15-week class will count toward Session 1 and the 8-week class will count toward Session 2. The discount will be applied after the drop/add period of Session 6, and will be applied after all other discounts. 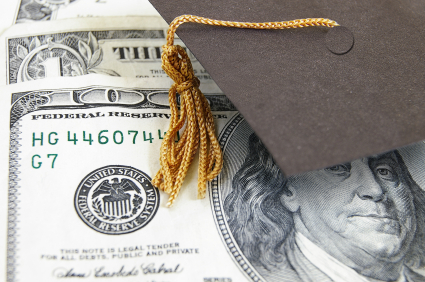 We hope you take advantage of this discount program as you work toward earning your degree! If you would like more information, please contact your Academic Advisor.